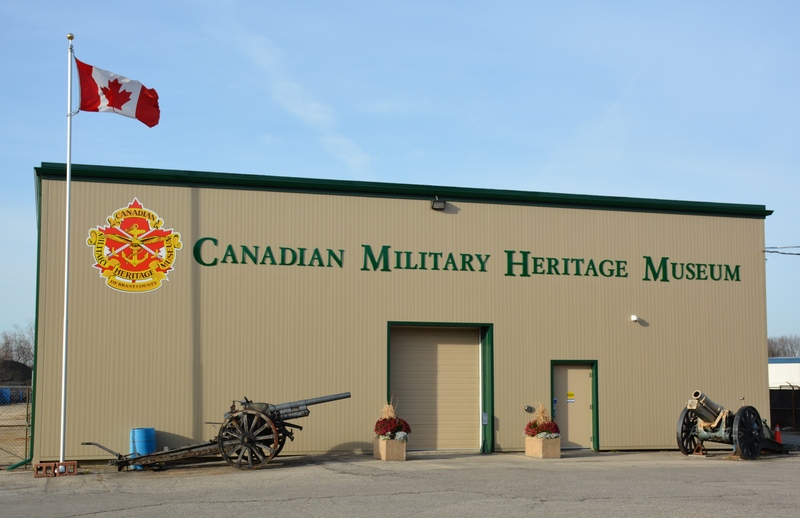 The Canadian Military Heritage museum, a vision by a dedicated group of veterans and military history enthusiasts became a reality in 1993. Today, the museum is housed in a spacious 13,000 sq. ft. building that preserves and displays artifacts pertaining to the military history of Canada and especially Brantford, including the 38th Dufferin Rifles, Dufferin Rifles of Canada, The 2nd, 10th, 25th and 2/10th Dragoons, Dufferin and Haldimand Rifles of Canada up to our current regiment, The 56th Field Regiment. It honours and remembers all veterans and military service personnel who have served and are currently serving. To collect, preserve and display artifacts pertaining to the military history of Canada. To provide, maintain and manage a museum for the purpose of education. To make available military artifacts for display at community events on a non-profit basis for educational purposes. To Honour and Remember the Fallen and to show appreciation to all Veterans and military service personnel who have served and are still serving.